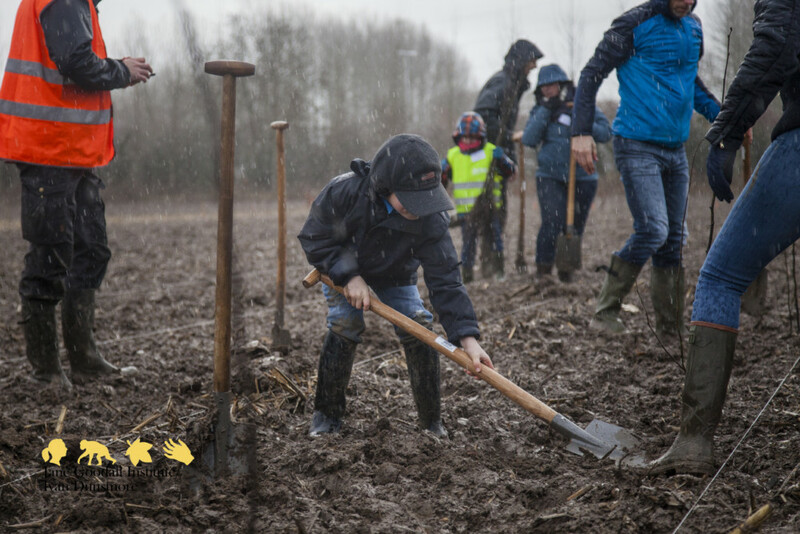 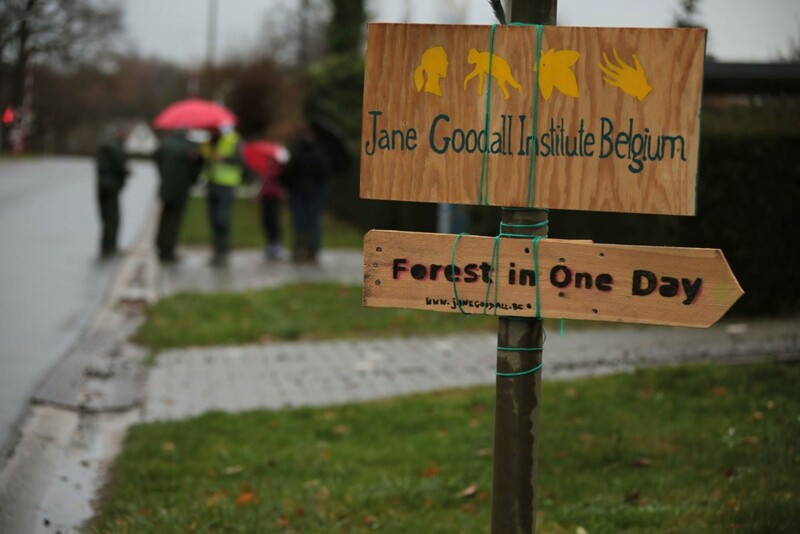 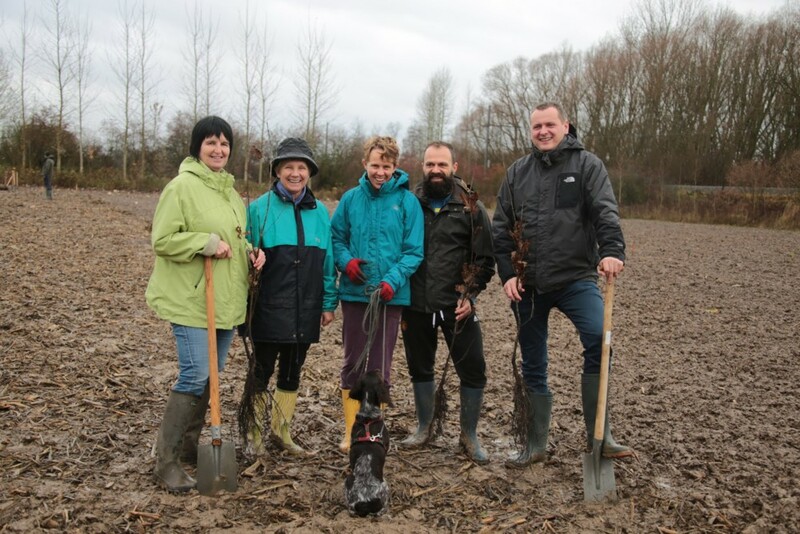 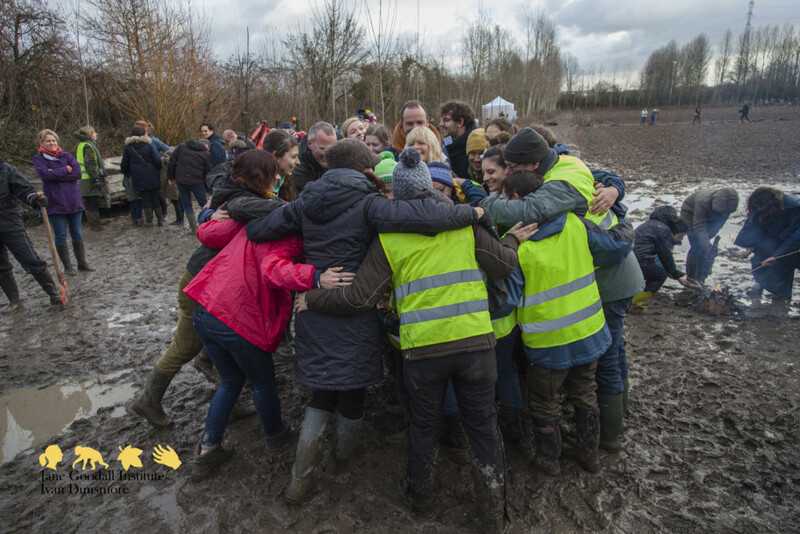 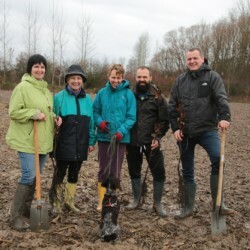 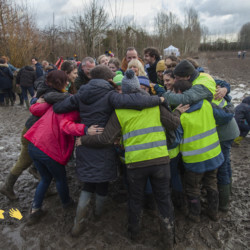 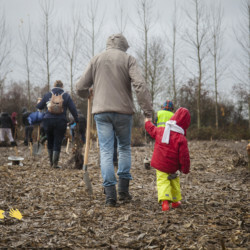 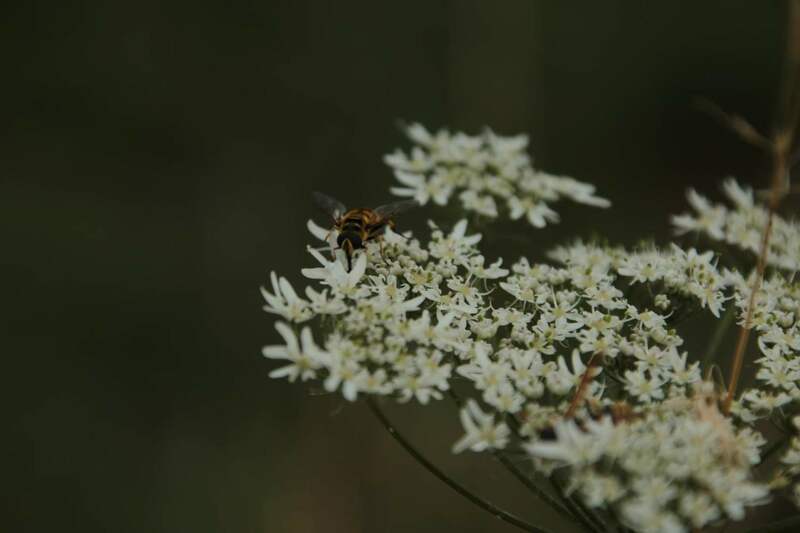 Our annual forest planting event, creating an ecosytem, attracting wildlife and bringing together the local community is the perfect example of how the Jane Goodall Belgium team of volunteers and sponsors work to bring to life Jane Goodall’s dream to live in harmony with nature. 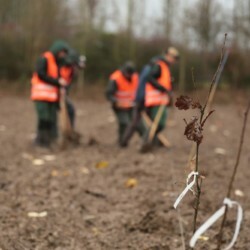 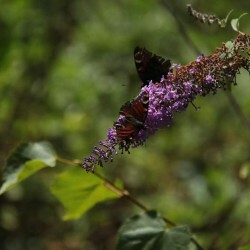 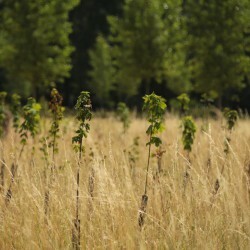 It joins people of all ages and cultures to create a forest in one day. 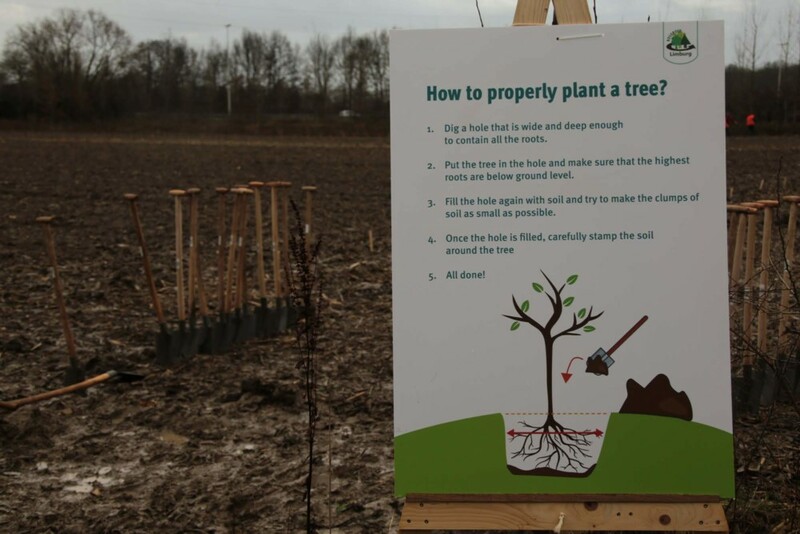 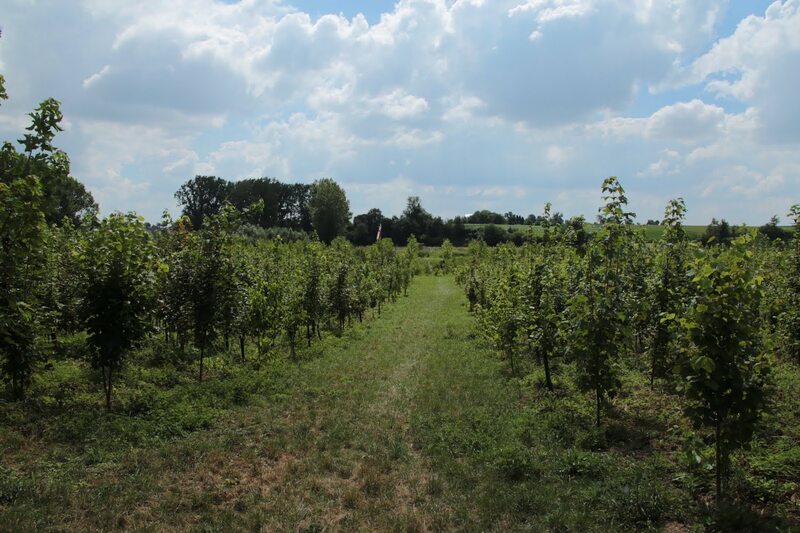 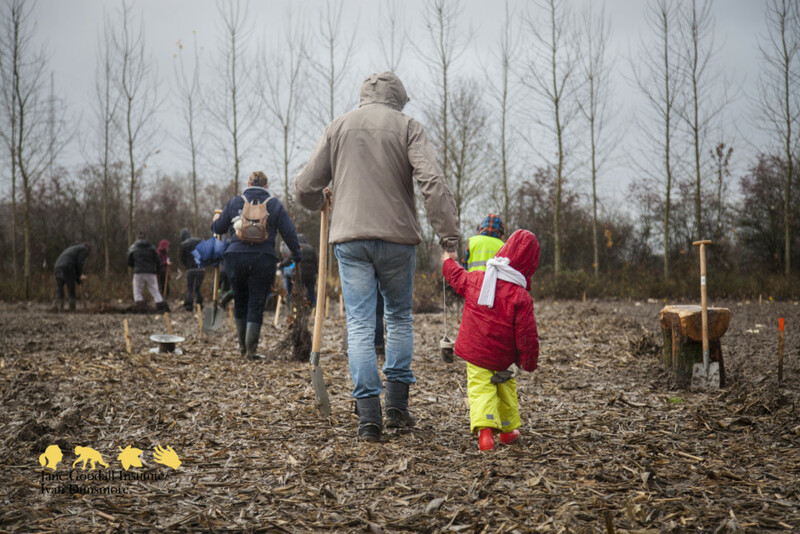 Since starting this event in 2014, we plant up to 8000 indigenous trees in Belgium each year to create a forest. 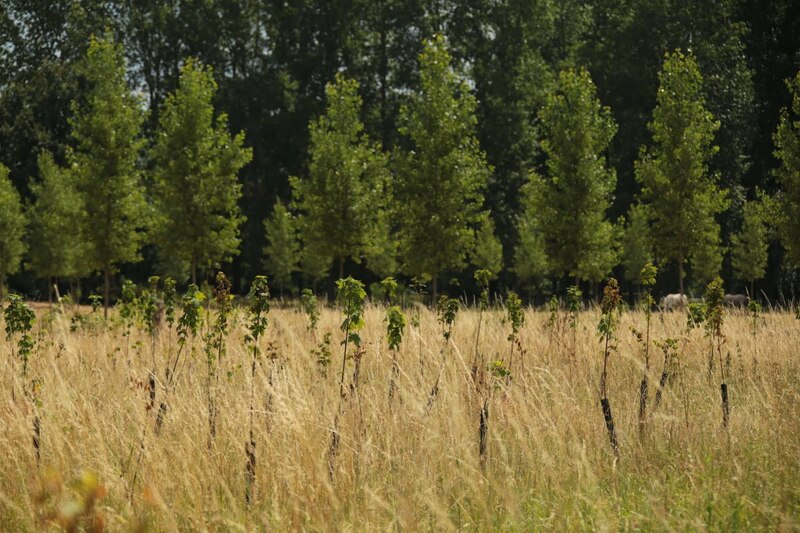 For every tree we plant, we sponsor the planting of several trees in one of our community conservation and reforestation projects in Africa. 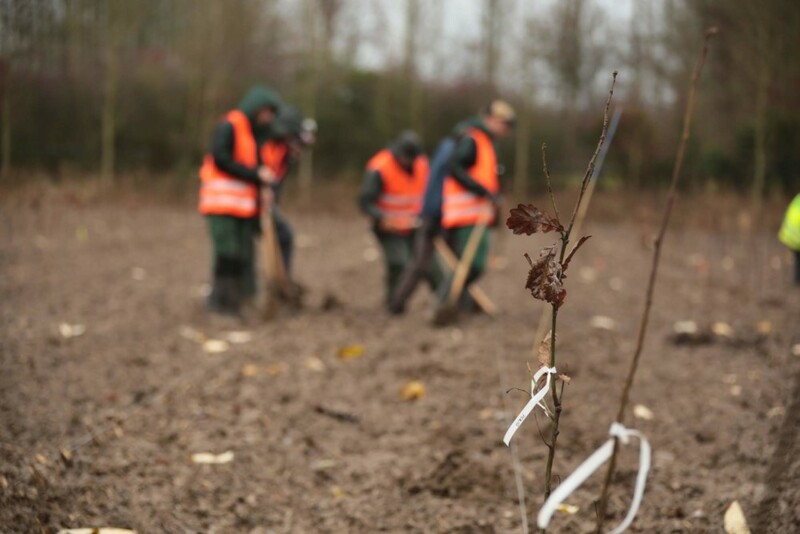 This event occurs during the winter months between December and February to protect the trees whilst in their resting period. 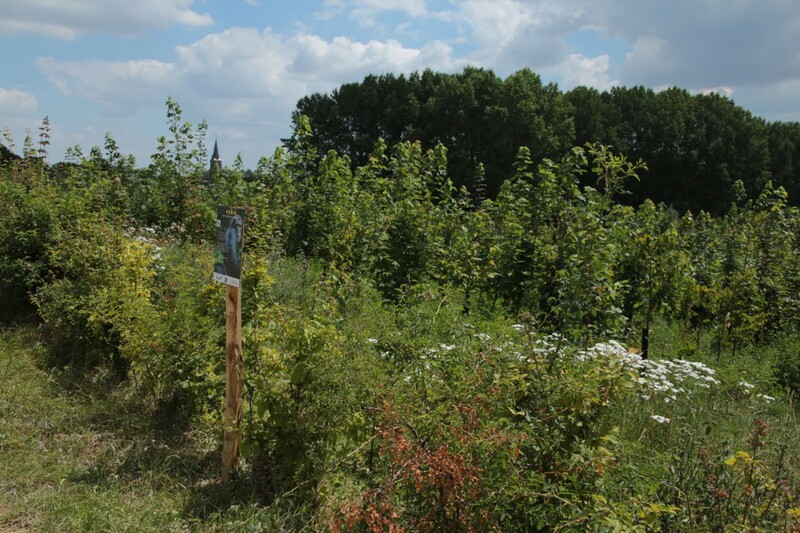 Our partner is Bosgroep Limburg. 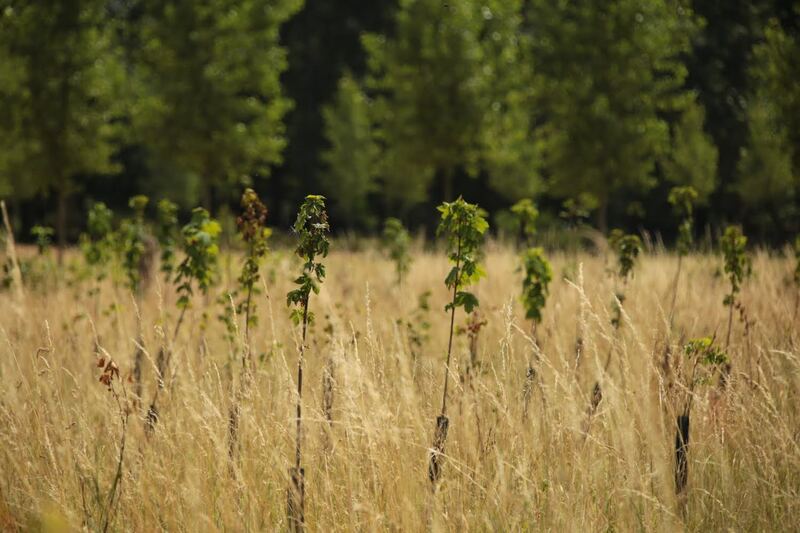 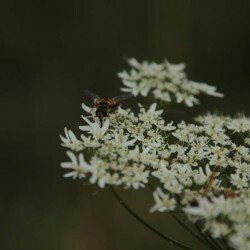 They help us secure a plot of land and provide us with a forest planting plan and the best selection of indigenous trees and plants to create a natural ecosystem. 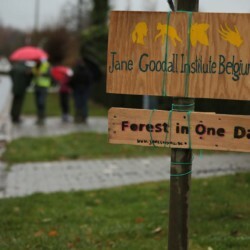 They also provide us assistance with the planting and teach us all about forests, trees, nature, birds and wildlife. 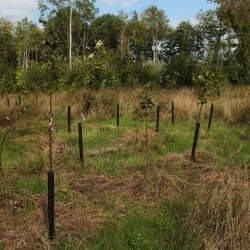 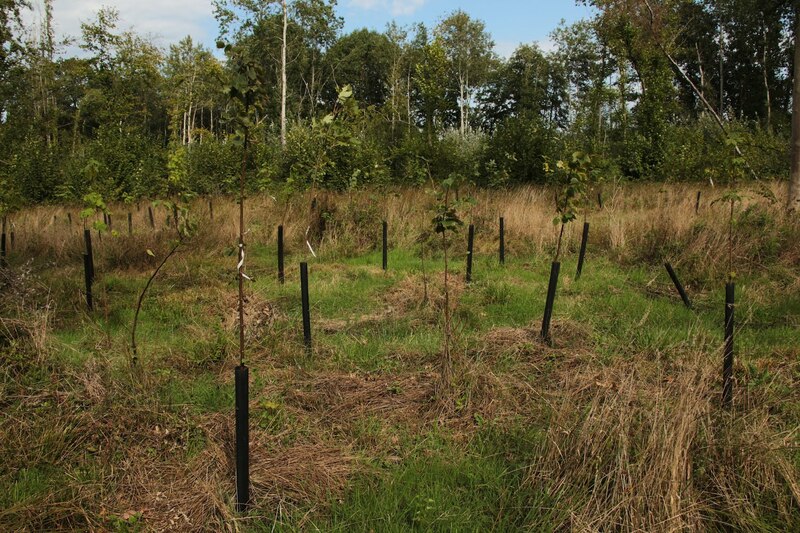 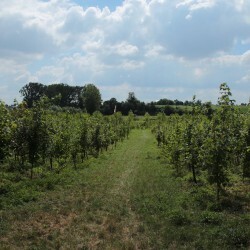 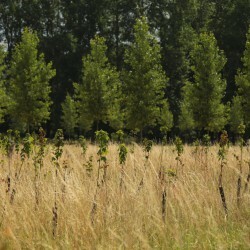 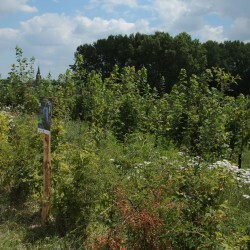 For every tree planted in Belgium, several trees are planted in Africa. 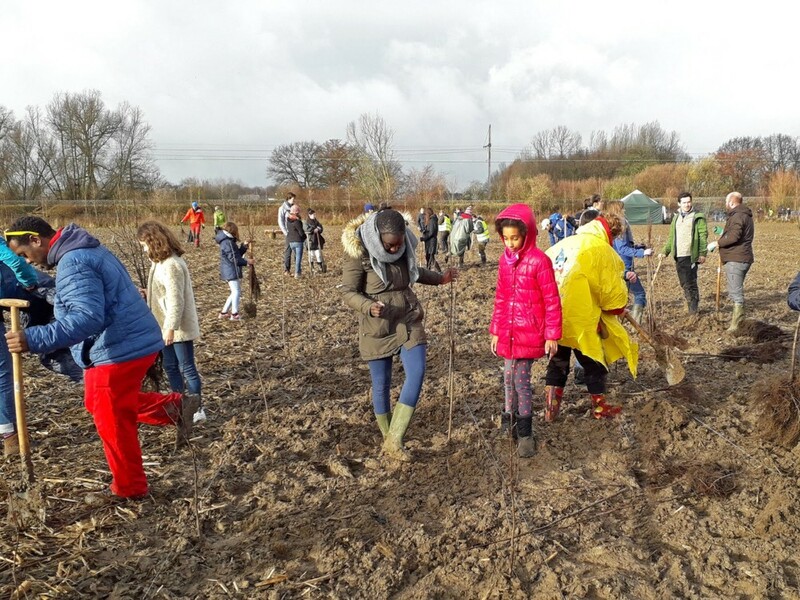 JGI Belgium is a proud supporter of the reforestation and community conservation project known as Roots & Shoots Burundi, the local youth empowerment program. 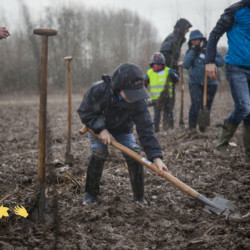 Since they have started the reforestation project, the local community and youth groups have planted over two million trees and that number keeps on growing! 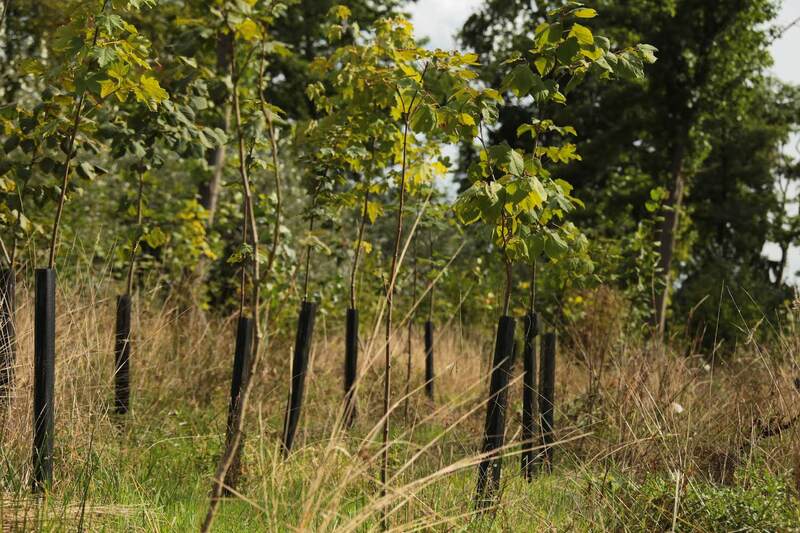 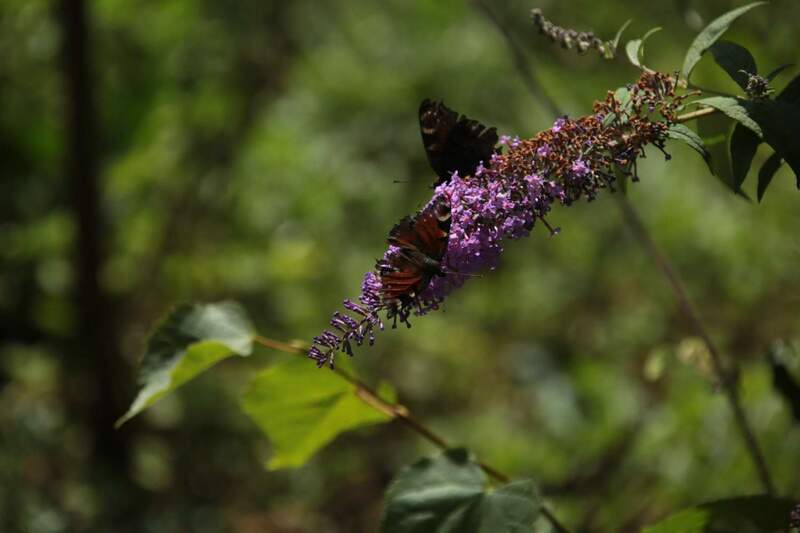 These reforestation projects benefit both animals and humans alike. 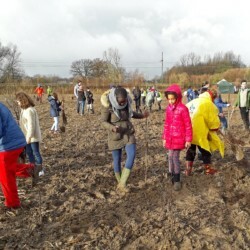 The young Roots & Shoots members of Burundi are working to connect forest islands by planting corridors of fruit trees. 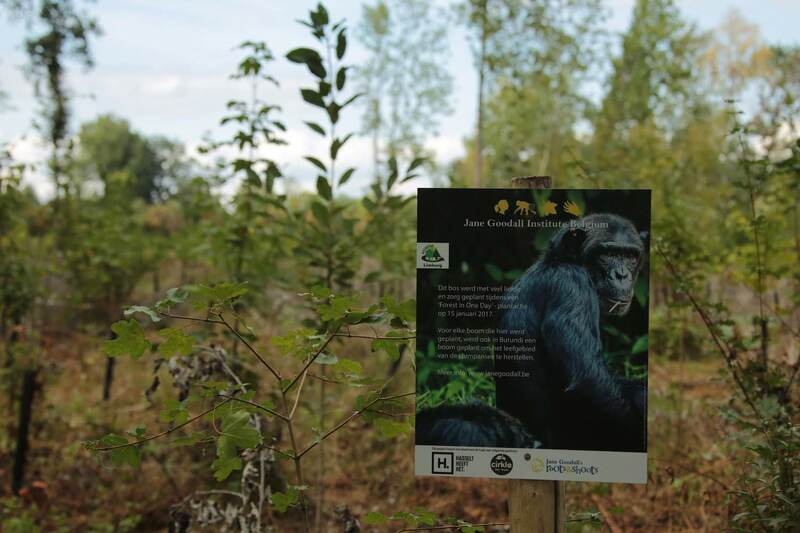 Chimpanzees love fruit, so these corridors provide food and a restored habitat. 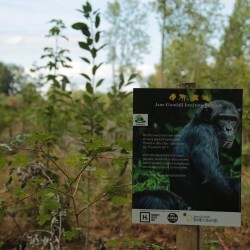 They also facilitate primate migration and genetic diversity in the nature reserve. 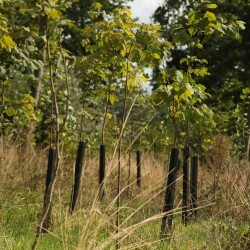 Planting trees on the bare hills also aim at protecting the watersheds and avoiding soil erosion. 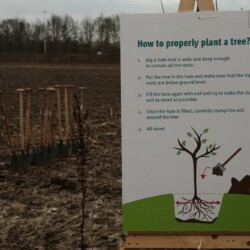 and concrete support for environmental education programs in schools.